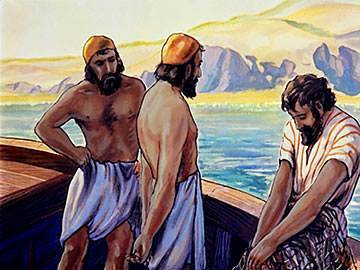 So Peter and John and the others went back to the Sea of Galilee, to the fisherman’s cottage by the sea. 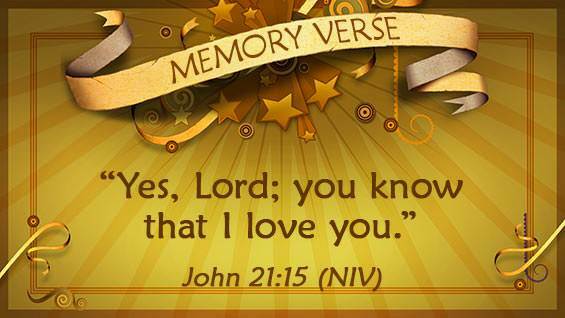 Peter's wife was there and his wife's mother whom Jesus had healed of fever. 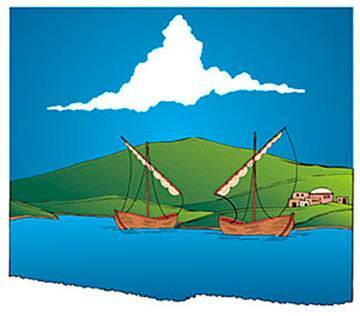 On the seashore their boats stood idle and their nets were dry. 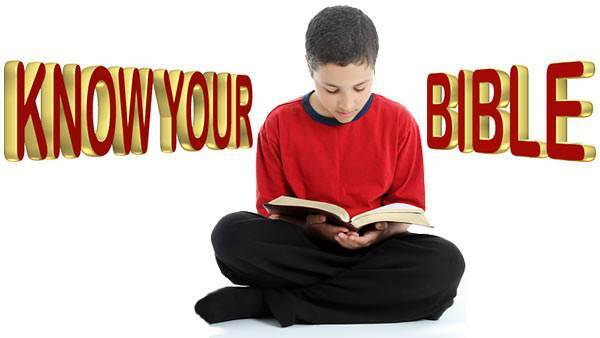 Peter could not bear to be doing nothing, so one evening he said to the others, “I’m going fishing.” They said, “We’ll come with you.” So seven of them climbed into a boat, pushed out into deep water, and let down their nets. But though they worked hard all through the night, they did not catch a single fish. As soon as Peter heard this he jumped into the sea and waded to land. 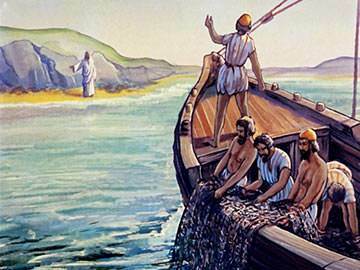 The others came in the boat, dragging the net full of fishes. 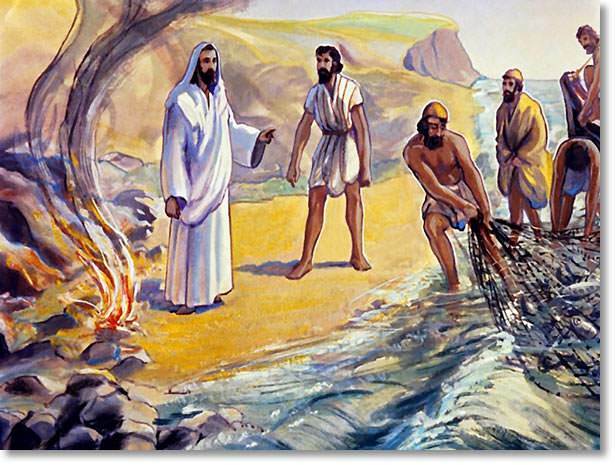 When they were come to land, they saw a fire burning, with fish cooking on it, and bread ready. 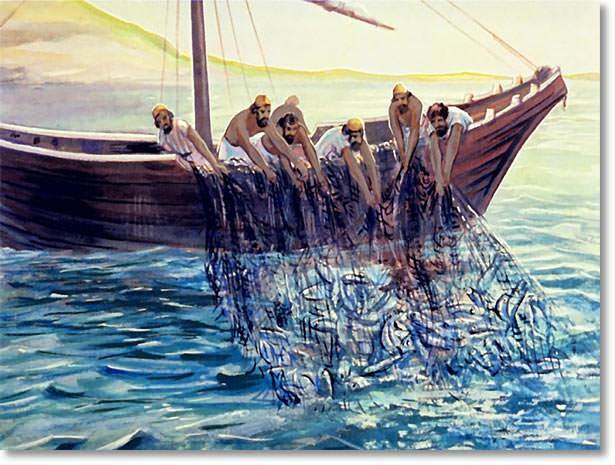 Jesus said, “Bring the fishes you have caught.” Peter then went and pulled the net up on the land, and there were a hundred and fifty-three fishes, and yet the net did not break. 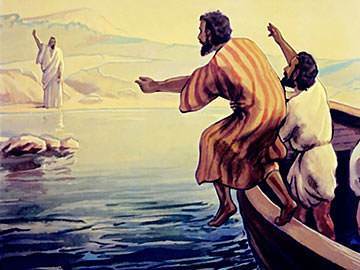 Then Jesus said, “Come and have breakfast.” And He waited on them Himself, giving them bread and fish. It was just like old times to be having breakfast with Jesus. They were almost too happy to speak. 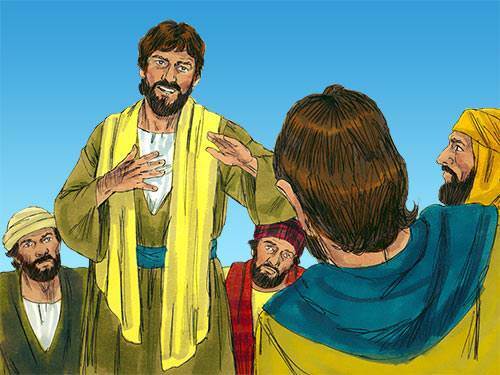 They just looked and looked at Jesus, their Friend who had come back to them.